Myspace is trying to get users back with a "Your Photos, Redelivered" campaign. 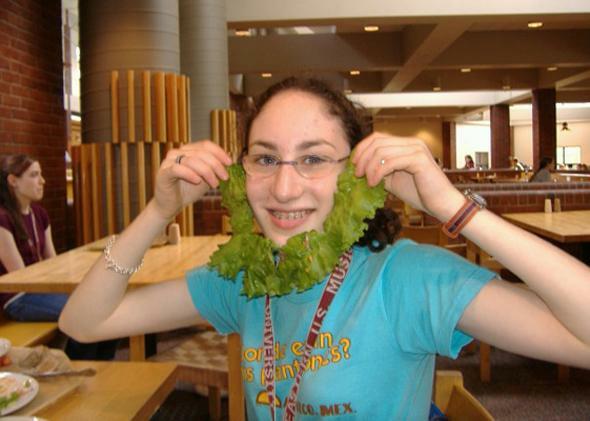 You don’t want the lettuce beard incident of 2006 casually showing up in your inbox. Photo from the depths of Lily Hay Newman’s digital past. You definitely want to be reminded of your rocky adolescence when you open an email from Myspace, right? If not then maybe the pitch from the email will help: “The good, the rad, and the what were you thinking …” Nope, not helping. Myspace has changed a lot since you last logged on in 2007. It’s now a place for bands and musical artists to create pages, upload songs, and connect with fans. But the company still has the dirt on you from 10 years ago and it’s, apparently, not afraid to use it.